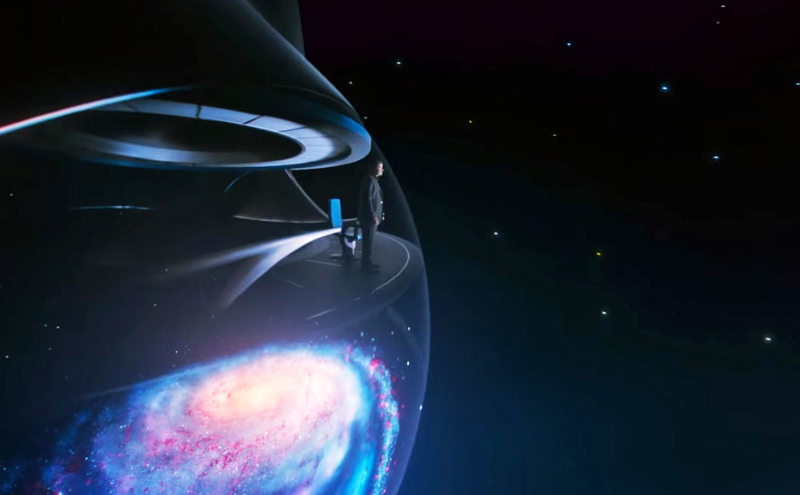 “Dreams are maps” –The Fox network has released an initial trailer that suggests Cosmos –Possible Worlds will follow the basic formula of the new series’ first season with a focus on extraterrestrial exploration and the idea that we are the universe’s way of knowing itself. Host Neil deGrasse Tyson explores possibilities of intelligent alien life and talks of exploring “paradoxical realities.” Are we ready for first contact. The new season, which premieres next March, follows the iconic Cosmos—the Carl Sagan-presented A Personal Voyage, 2013’s A Spacetime Odyssey, and Possible Worlds. “I think we succeeded in maintaining the spiritual center of what the original Cosmos was on a level where you no longer think of [it] as a documentary at all, even though it technically is. There’s not really a word for it.” Tyson added, “It’s operating on another level, reaching … what role science is playing in our understanding of our lace in the universe. At the same time, the show will focus on the small scale, on how everything is connected, rather than treating biology and human endeavor as separate from the vastness of space.